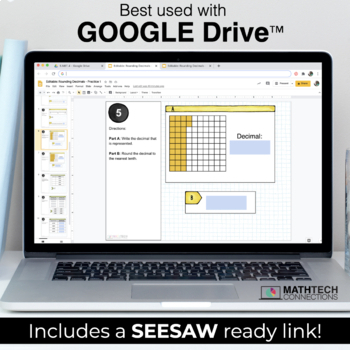 Are you looking for quality, standards aligned math resources to use with Google Classroom™? 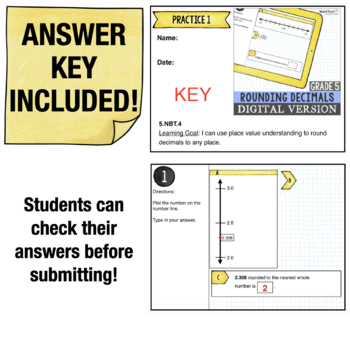 This paperless resource if specifically made for fifth grade students to review common core standard 5.NBT.4 - I can use place value understanding to round decimals to any place. Who should purchase this resource? 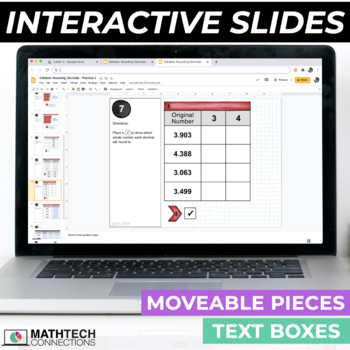 - Teachers who want to print less! 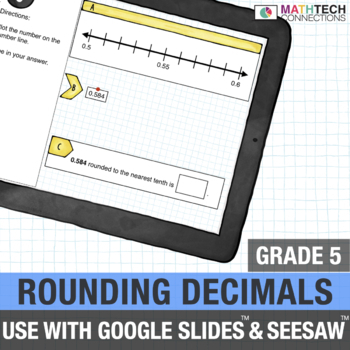 Learning Goal: I can use place value understanding to round decimals to any place. The only editable part of this file is the standard,so you can change the standard to match the wording of your state.